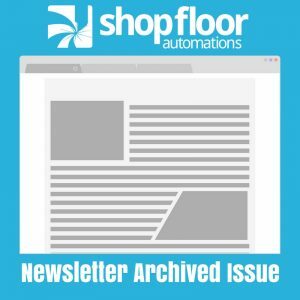 The following is an archived copy of the Shop Floor Automations newsletter from October 2012.
money? Have an old DNC System? are a lot newer. We have solutions for a variety of CNC controls. go great with a variety of our products. Does your Shop need a tune-up? -fix cabling issues, grounding issues and more! Take advantage of our Year End Service specials. our standard rates. Service will need to be provided by 2/28/13. Technical Note: Predator Software drops support for Windows 2000. Read more on our website under About Us \ News Section. Congrats to last month’s winner – Terry Piekarski of Classic Turning Inc.
certificate to their favorite store. Ask about a survey today! is available and what YOUR shop should have. Let us analyze your needs and provide you with the best solution to suit your needs!